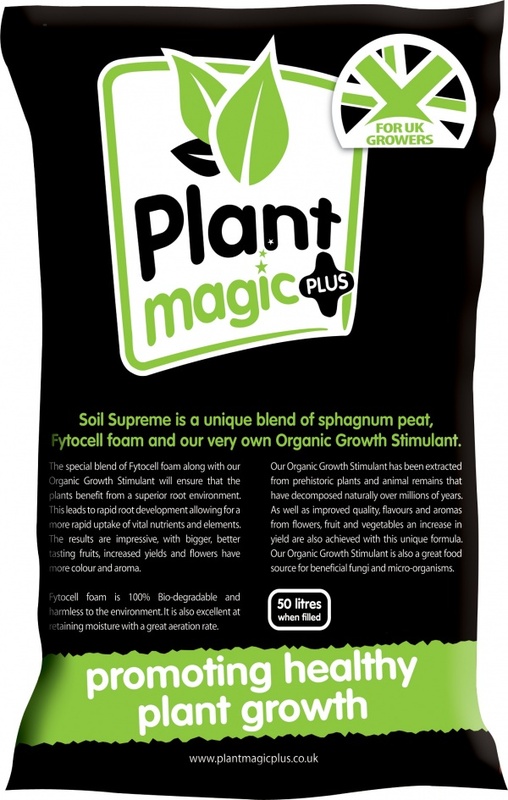 Soil Supreme is a unique blend of sphagnum peat, Fytocell foam and our very own Organic Growth Stimulant. Fytocell foam is 100% Bio-degradable and harmless to the environment. It is also excellent at retaining moisture with a great aeration rate. Our Organic Growth Stimulant has been extracted from prehistoric plants and animal remains that have decomposed naturally over millions of years. As well as improved quality, flavours and aromas from flowers, fruit and vegetables an increase in yield are also achieved with this unique formula. Our Organic Growth Stimulant is also a great food source for beneficial fungi and micro-organisms.